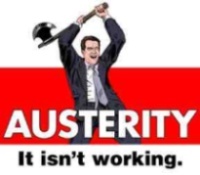 As part of the government’s Welfare Reform Act 2012, the Bedroom Tax came into effect in April 2013. It is also known as the spare room subsidy, social sector size criteria or under-occupation penalty. The changes mean that Housing Benefit will be cut for people who rent from a council or social landlord if they are considered to have a spare bedroom. Strictly speaking it is not a tax but that is the name it was given and it has stuck. 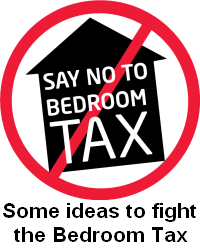 The Bedroom Tax is a cynical attack on the poorest in our society. Only those claiming benefits are affected. Anyone who lives in social housing but does not claim housing benefits will not have to pay any extra. This highlights that it is not about freeing up scarce social housing. According to Department of Work and Pensions (DWP) analysis, the average claimant will see their housing benefit cut by £14 / £16 per week although 7% of people will face a cut of £31. Around 660,000 people will be effected and thousands of families and single people are at risk of losing their homes. Families will loose their neighbourhood, their community, children will have to change schools and teenagers will lose their friends. In Bournemouth and Poole, 1224 social housing tenants are affected by the bedroom tax. It has been estimated that up to 420,000 of those affected are disabled or chronically sick. Many of these properties have been modified by social housing landlords to assist people in daily living and unless they can prove that they require ongoing overnight care, disabled tenants are trapped in a situation where they will have to pay more rent.. It is highly unlikely that people forced to move through financial difficulties, will find private landlords willing to spend money to modify properties. The government claims that the Bedroom Tax will encourage more efficient use of social housing. However the reality is, not only are many people in need of their ‘extra’ rooms but, there are simply not enough one and two bedroom properties for those affected to move into. Across the country there are already 1 million people on council waiting lists for one bedroom properties. The vast majority of those who are forced to ‘downsize’ will switch from social housing to the private rented sector which will inevitably lead to higher rent costs and local authorities paying out more in Housing Benefits. The solution to a lack of social housing is not to punish those who live in social housing but to build more council homes. This entry was posted in Campaigns, Events, Welfare and tagged bedroom tax, benefit cuts, bpacc, council, protest, welfare. Bookmark the permalink.